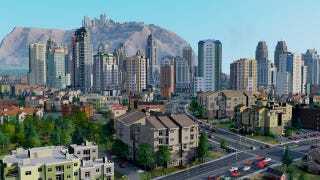 Faith Check: Will SimCity's Servers Hold Up Next Week? Keyboards plugged in? Mouses at the ready? Cool. We're about to hit the launch of another big-deal PC game: Maxis' SimCity, back from a long hiatus and looking pretty good. But SimCity will also be the latest PC game to demand that users maintain a constant internet connection. We went into the similarly connection-demanding Diablo III hoping for the best, and wound up with a game that was regularly rendered unplayable by widespread server problems in the opening days. We're wiser now, and more wary. We know the score. This could be a bumpy ride, at least at first. While the launch of any online game brings with it some expected server woes, it's still not too much to hope that a game that offers no offline mode will have everything in place to assure early players a seamless experience. I thought I'd do a pre-release gut-check: How would you rate your faith in SimCity's servers? With 1 being "It'll be a disaster" and 10 being "It'll be flawless," how do you think SimCity's servers will hold up on launch? Any further thoughts on the game? Did you participate in any of the betas they've done? Do you get the sense from the betas that the servers are ready?